Just last week, Mazda's new CEO was telling Automotive News that it wasn't commercially viable for Mazda to make a new rotary engine. But either Masa-michi Kogai misled the leading trade publication or hope just refuses to die surrounding the storied unique engine. Because just today, British publication Auto Express reported that Mazda is using rotary technology in its electric Mazda2 subcompact. As in the Chevrolet Volt, the prototype Mazda2 EV is designed to be powered by its electric motors, and its batteries can be recharged by a gas engine. But whereas General Motors pulled one of its regular economy-car engines off the shelf, Mazda has developed a mini-rotary engine -- which promises to be lighter and smoother than a conventional engine. 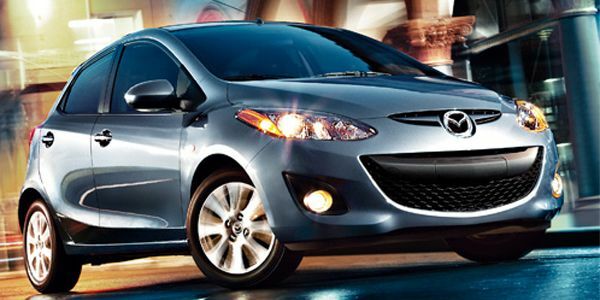 According to Auto Express, the Mazda2 EV's rotary engine is a 0.3-liter making 30 horsepower at 4,500 rpm. That's not exactly a specification that will get RX-7 or RX-8 fans' hearts pounding. But at the same time, if Mazda is finding a way to use the technology, that does make it less of a pipe dream to hope for a return to the rotary's performance-car legacy. As a small automaker, Mazda must marshal its resources carefully to remain viable -- components are shared across models whenever possible. So any rotary is good news. Mazda has so far made a small fleet of Mazda2 EV prototypes, but hasn't announced plans for regular production. And considering that it's unwilling to even sell the new 50-mpg Mazda3 hybrid in the U.S., green tech doesn't seem to be Mazda's focus at the moment.